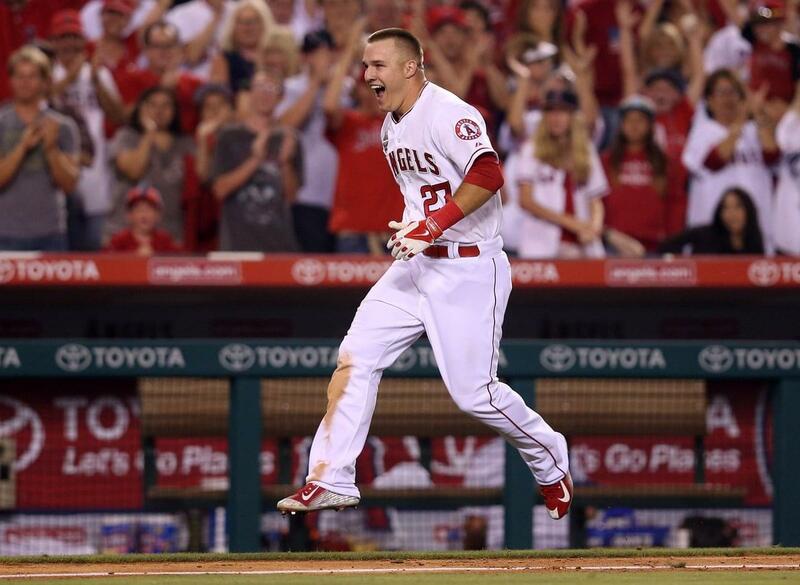 The Angels’ Mike Trout is the best baseball player in the world. He’s a wonderful hitter – for average, power and in the clutch. He’s a great center fielder with good speed and an above average arm. He hustles and avoids problems, on and off the field. He’s healthy and still relatively young at 27-years-old. He probably helps little old ladies cross the street and volunteers as a bell-ringer for the Salvation Army. But he isn’t worth $430 million for 12 years. No player is in any sport. It’s more about the years than the money. In a world where injuries are a big factor and losing a step can be the difference between being an all-star and just another player, 12 years can be a lifetime or two. Obviously, the owners in baseball are making globs of money, otherwise they wouldn’t be handing out these decade-plus-long contracts. That still doesn’t mean it’s a smart move – even when the beneficiary is Mike Trout. As the Major League Baseball season nears, you’re hearing daily about this injury and that injury. The Dodgers’ Clayton Kershaw is questionable for the season opener because of soreness in his shoulder. Bryce Harper is being carefully monitored after getting hit on the foot. This pitcher felt something in his elbow. This infielder has a tweak in his hamstring. We hear more about these seemingly minor injuries because there’s so much more information out there. But there’s another reason ad it isn’t because the modern player is softer than the heroes of our past. No, actually they were grossly underpaid. A club with little investment in a player played him until he couldn’t play. Now, clubs tend to overprotect their $100, 200, 300, 400-million investments.